Knowing what to bring on a Mexican vacation is important. The specific items you’ll need will depend on where you’ll be going and what you’ll be doing. For instance, if you’re going to do a lot of hiking around in ancient ruins, you’ll definitely need decent hiking boots. There are a few basic items that apply to all Mexican vacations, and Mexican Insurance by Mexican Insurance Store Coverage is a prime example. Without decent car insurance for Mexico , you run the risk of ending up in jail, ending up with huge bills or both. Why Mexican Insurance by Mexican Insurance Store? If you already have valid car insurance in your home state, you’re probably wondering why you’d bother to buy Mexican Insurance by Mexican Insurance Store. After all, won’t your regular insurance cover you? The answer is a resounding no. While U.S. car insurance is generally valid in Canada, it’s not valid in Mexico. Only car insurance for Mexico is. The cops won’t know what to do with your American car insurance policy, and they will likely take you to jail in the aftermath of an auto wreck. Good quality car insurance for Mexico is vital. What Else do You Need besides Mexican Insurance by Mexican Insurance Store? There are other things you’ll need for your Mexican vacation, and they apply no matter where you’re going. A valid passport is essential. Without one, you won’t get across the border. The one exception is if you have an enhanced driver’s license, which may be used in lieu of a passport when traveling by land and by sea. Children under the age of 16 don’t need passports, but you’ll need to bring along their birth certificates. Visit the State Department website to ensure that you’ll have the appropriate documentation to get across the border. While some items aren’t absolutely necessary for a Mexican vacation, they definitely come in handy. A prime example is a GPS. 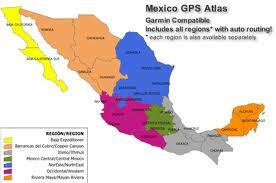 If you already have a GPS, make sure it has maps of Mexico. Even if it does, you’ll probably need to connect your GPS to your computer to update its software and maps. 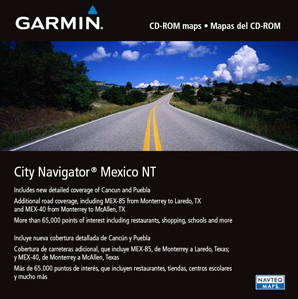 If your GPS doesn’t have maps of Mexico, you’ll have to go online and buy them. Another extra you should consider is a throwaway cell phone for Mexico. You can buy them south of the border. Do you think Mexican Insurance by Mexican Insurance Store is a prime example of what you need for a Mexican vacation? Going on adventure in Mexico such as hiking, surfing, motoring, etc needs you to insure yourself. In addition to Mexican insurance, you also need to have personal injuries cover and medical cover. Previous post: Plan a trip from Canada with Mexican insurance for Canadian drivers!